Come visit me over at my blog where I write about family, faith, and all things Italian! It’s a blend of frothy cappuccinos, Michelangelo, light sabers, Sunday dinners with i Nonni, and every Christmas ... gathering in my parents' kitchen to make 700 homemade tortellini. There are also lots of stories about my Nonna. The Summer of 2015 I organized a Girls' Trip to Italy (Rome and the Amalfi Coast). There were 23 of us. 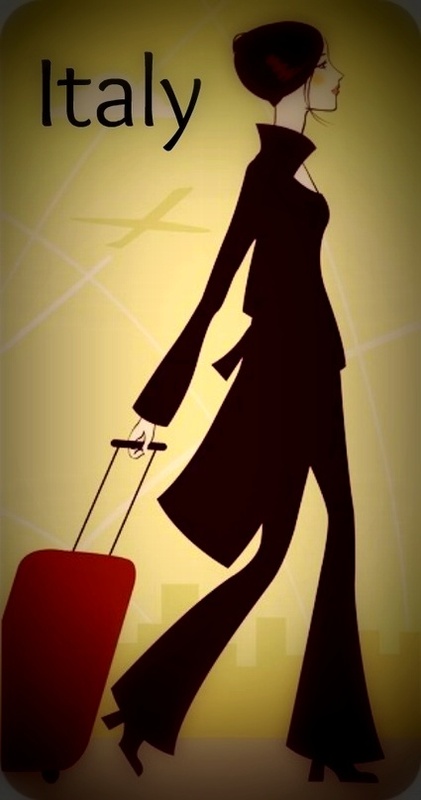 Another girls' trip, this time to Tuscany and northern Italy, is in the works for September 2019. Oh, and sometimes I write things that get published. Over at the blog, click on La Dolce Vita Travels (Italy) where you can read about our adventures to Rome, Sorrento, Naples, Venice, Florence, and our beloved Verona. There are also posts about the Pope, the time I lost my temper in Rome, how I almost got arrested at the airport in Milan, and the art of doing business the Italian way. Food, family, and faith. It doesn't get better than that. Browsing through the blog you will find Sunday dinners, family humor, parenting advice, recipes from the kitchen, and faith and inspiration. There are also plenty of stories about the exasperating and exhilarating ... that is, what it's like to be the mother of three sons. Straight from the Files of Very Bad Poetry by Bia, haikus and poems about souls and raindrops, la luna, thoughts, nighttime walks, and Sunday mornings. ©2018 Maria Novajosky. All rights reserved.